Parting Thoughts: It’s Our Time, Gaston County! This has been my favorite saying in recent years. Our county is growing at a rapid pace! This means more jobs, more folks buying homes, and a boost to the retail market. This also yields more tax dollars. Growth is a gauge of vitality of a community. Growth that is planned and managed, however, is key! Please stop and think for a moment of the many good things that have happened in the last few years in Charlotte and its surrounding counties. Charlotte has long been established as a banking center, and has worked to become a city that is great to work and play in. In addition to bringing good jobs to the area, Its leaders have worked hard to attract national sports teams, grow its cultural arts opportunities and add upscale retail shopping to its profile. Just look at all the Panther stickers on Gaston County vehicles to see we enjoy their efforts! More important, our county is attracting more businesses offering good paying jobs. Just in the past week, the town of Stanley announced it has a company moving there that is bringing jobs that pay almost twice as much as the medium income for our county! There are many components to attracting a company with good paying jobs. Many require a trainable workforce. We have Belmont Abbey, Gaston College and the Kimbrell Center to offer specific courses to help our workforce adapt to new job opportunities. We are fortunate to have these colleges to build upon our good public and private local schools. Land cost makes Gaston County desirable for investors. Our vacant land and buildings usually (but not always) offer an advantageous cost to developers. Some of our empty plants can be easily upfitted to house new industry. We also have large tracts of vacant land available that work well for developing nice neighborhoods. An abundance of churches and schools also add to the positives for creating pleasant neighborhoods. We also must have access to excellent transportation. The proximity of the Charlotte Douglas Airport is key, as is I-85 and the RR lines that crisscross our county. However, we must plan for the future. We need desperately another bridge across the Catawba to help with traffic congestion. Gastonia has a municipal airport that allows small executive jets to fly in but the runway is limited and not able to accommodate larger aircraft that many executives use. Having a link to Charlotte’s metro rapid transport is also vital for Gaston County. A number of plans to address transportation needs in our area are on the board, and we need to rally behind them. By careful planning, we can avoid the severe transportation congestion problems the Atlanta region has incurred. Infrastructure is not glamorous but try to do without it! With good jobs, will come more new housing and these neighborhoods require water and sewer connections. Additional water and sewer lines need to be in place to accommodate our anticipated growth and not overload our existing systems. Gastonia planned ahead years ago and tapped Mountain Island Lake for its water supply as it became evident that Rankin Lake was soon going to be too small to handle the task. Duke Energy has been a steady source of electricity for the region. Gastonia is part of a group of cities that use ElectriCities to provide wholesale power to its citizens, while other townships such as Belmont lets Duke Energy provide its services directly to its citizens. It is just important that we offer electricity at a fair cost. Recreation opportunities add so much to the quality of life, a community offers. As stated earlier, Charlotte has added many sports and cultural opportunities that are a short drive for Gaston County citizens. However, we have some special recreational opportunities unique to us. 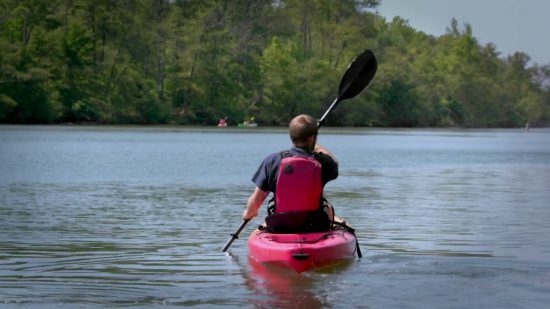 The Catawba River and its tributary, the South Fork, give us boating and fishing and other water sports which many of us enjoy. Crowders Mountain is also a great asset allowing hikers several trails and rappelling opportunities for brave hearted climbers! Daniel Stowe Botanical Garden is also a wonderful repurposing of farmland into recreational/cultural use. Perhaps you have heard the term, “The FUSE”, being talked about in Gastonia. The FUSE project has been underway for several years, using the old abandoned Sears site and nearby properties along Franklin Blvd. (Hwy. 29/74) to be reinvented as a sports/entertainment facility. The ten acres will have a stadium that will host baseball, soccer and other outdoor events. Just imagine the positive change that can be enjoyed by our citizens as small restaurants pop up to feed families out for an evening of fun. This project is very close to the successful repurposing of the old Loray/Firestone Mill. What was once the largest textile mill in the South, is now home to loft apartments (with a waiting list), and small retail, restaurants and gallery space. Developers are so pleased with the demand for their product, they are now working on phase II, upfitting the seven-story west wing, whose arched windows overlook Crowder’s Mountain. My wife, Nan, and I are natives of Gaston County and have raised our four children here. It is home to us, and we have always known it was a great place to live and raise a family. We are pleased to see other families discover the area and put down roots. As I said before, growth is a marker for vitality, and our area is thriving. It is a great place to call home! 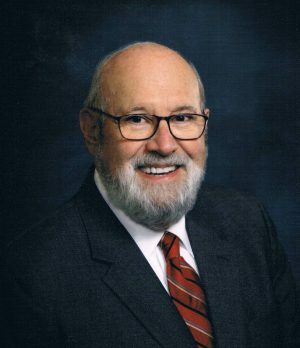 John Bridgeman is President of Bridgeman & Associates Inc Commercial Real Estate Company, Former Mayor of Gastonia and Former Representative to the N.C. General Assembly.